The new election took a turn on the stock market and real estate rates, but how is the rest of the economy sizing up to the prices in store for our financial future? With the help of US News, we go over the expected highest vs lowest economic prices in 2017. 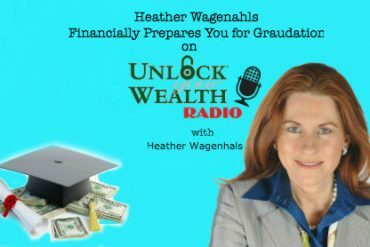 Unlock Your Wealth Radio anticipates several prices will change in 2017, what are your predictions? Please leaves your comments on our Facebook and Twitter pages! 1. Restaurant prices Annemarie Kuhns, an economist with the U.S. Department of Agriculture’s Economic Research Service, expects a modest 2.7 percent overall increase in restaurant prices. This price hike is not driven by food costs but by the two biggest line items on a restaurant’s operating budget: labor and rental costs. “We’ve seen [labor and rental costs] rise consistently, so generally we see restaurant prices with a consistent increase,” Kuhns says. Several states across the country, including New York and Washington, raised minimum wage last year. Although tipped employees like servers do not command the same minimum wage as non-tipped employees, the increase does hit a restaurant’s bottom line. 2. Health care. The U.S. Bureau of Labor Statistics reported that from November 2010 to November 2016, medical care prices increased by nearly 20 percent. This spike is driven by several factors, including the rising cost of hospital services (up 33 percent), health insurance (up 28 percent) and prescription drug costs (up 24 percent). However, the price of nonprescription drugs declined 2.7 percent from 2010 to 2016. Health care reform was a major issue this election cycle, and it remains to be seen what the new administration might do to combat growing health care costs and how quickly any changes would trickle down to consumers. In the meantime, cost-conscious employers and patients are looking to telemedicine, medical tourism and mail-order pharmacies to minimize costs. 3. Experiential travel. As consumers continue to embrace the value of authentic and immersive experiences over products, the popularity of experiential travel could drive up prices. “Whether it’s the basic stuff of going to Disney or Times Square or whitewater rafting, those things are becoming more popular, so we’re seeing prices go up,” says Howard Schaffer, general manager at Offers.com, a website that aggregates coupons, deals and other savings opportunities. Plus, Airbnb recently expanded beyond accommodation bookings and launched Trips to offer hundreds of experiences, from a tour of Havana with a local musician to a dance lesson with a burlesque performer in London. That said, Schaffer does see a growing number of hotel deals available in small- to medium-size cities. “The ability to get more value is there,” he says. In bigger cities with high demand – think: New York, Chicago or San Diego – the opposite is true. “They’re not growing the number of hotels, so those prices are higher than ever and harder to get deals,” he says. 1. Used cars: Used cars were cheaper by an average of around $200 in 2016, a trend that could continue into 2017, according to data from Quad Analytix, a company that analyzes e-commerce data. Quad Analytix CEO Andy Ballard says this decrease in prices may be due to “the supply increasing a bit as automakers are pushing on other new vehicles and financial incentives return.” Consumers may also be choosing lower-priced vehicles as well. Not surprisingly, the average selling price for Volkswagen vehicles declined 7 percent from 2015, possibly due to the company’s emissions scandal. Used cars from a variety of major European and Asian car brands were also cheaper last year. 2. Apparel: With Amazon.com becoming more entrenched in selling clothing, Ballard predicts clothing prices will decline at other mid-priced retailers. “For some of the medium brands, it’ll put pressure on pricing,” he says. 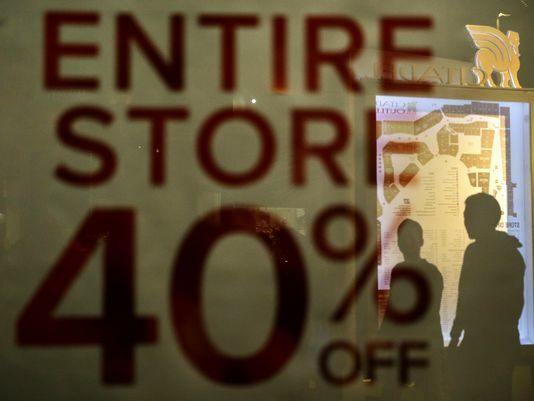 “For a given item, if there’s a sale in one place, there needs to be a sale in a lot of places. For the average consumer, the ability to find high-quality products at a reasonable price is going to mature,” he adds. This is especially true of the growing athleisure category (athletic clothing designed for working out or other activities), as more brands enter the space and competition heats up. According to Quad Analytix, leggings were discounted more in 2016 than in 2015 at retailers such as Bloomingdale’s, Macy’s, Target, Nordstrom and J.C. Penney, and they were on average about a dollar cheaper in 2016 across the board, though they were more heavily discounted at Bloomingdale’s and Macy’s. However, the popular Canada-based specialty retailer Lululemon Athletica bucked this trend; its legging prices went up in 2016 by an average of $5, according to Quad Analytix. Amazon holds sway in this category as well. In fact, job postings revealed that the retail giant may be launching its own active wear lines later this year. 3. Grocery store prices: For the first time since 1967, average grocery store prices are declining, according to findings from the USDA. Higher farm production of meat, dairy and eggs create a larger supply of those goods, and lower oil and energy costs have decreased the cost of processing and transporting food, Kuhns explains. Plus, the strong U.S. dollar means Americans are “able to get a lot of the foods at the grocery store that are imported at a cheaper price,” Kuhns says. “That makes our products in the U.S. less desirable to foreign markets and items we’d normally be exporting might stay in the U.S. market, [putting] downward pressure on prices,” she adds.